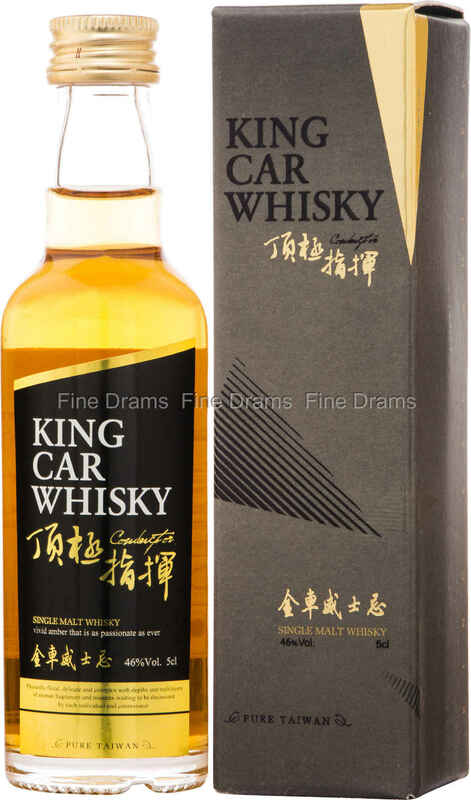 A miniature bottling of Kavalan King Car. The introductory bottling in the Kavalan range, this whisky demonstrates the high quality of Kavalan’s spirit, and Taiwanese whisky in general. A well rounded single malt, drinkers can expect dense flavours of vanilla, toffee, stone fruit and toasted malt. The spirit is non chill filtered and bottled at the higher proof of 46% ABV. A wonderful chance to try this delicious world whisky.